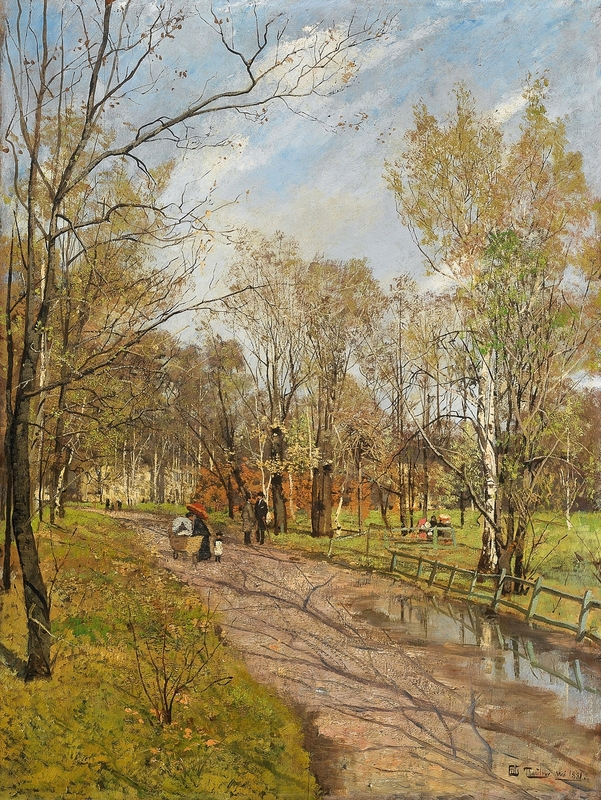 Frits Thaulow – private collection. Title: Small Town near La Panne, Belgium. Date: c. 1905. Materials: oil on canvas. Dimensions: 64 x 76.5 cm. 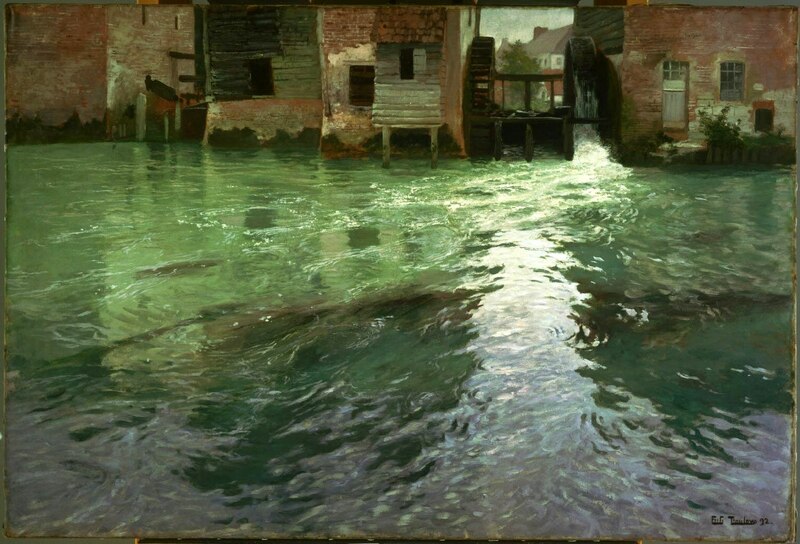 Inscriptions: Frits Thaulow (lower right). Sold by Bonhams, in London, on October 29, 2008. 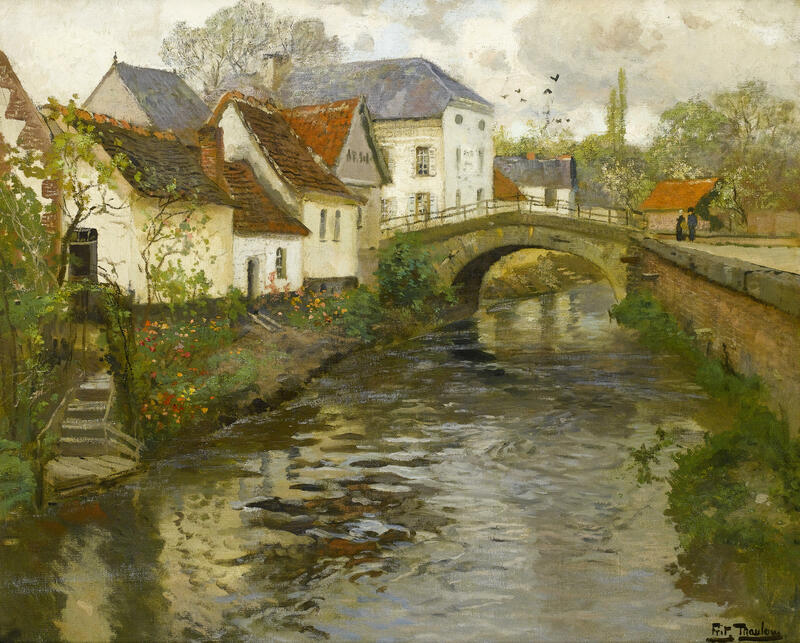 Source: https://commons.wikimedia.org/wiki/File:Frits_Thaulow_-_Small_town_near_La_Panne,_1905.jpg. Materials: oil on canvas. Dimensions: 64 x 79 cm. Inscriptions: Fritz Thaulow (lower right). Sold by Christie’s in London, on January 21, 2009. 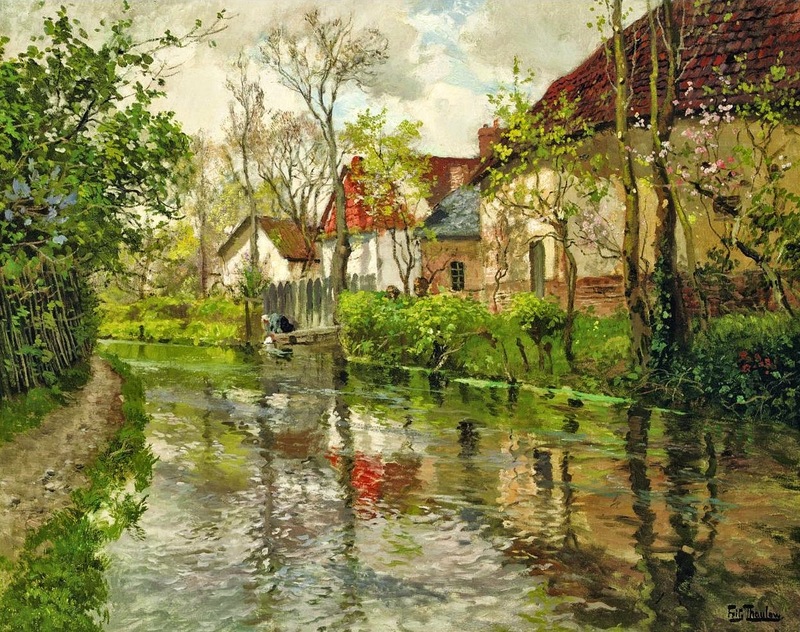 Source: http://www.tuttartpitturasculturapoesiamusica.com/2014/07/Frits-Thaulow.html. Materials: oil on canvas. Dimensions: 49.5 x 79.5 cm. Acquisition date: 1933. Nr. : NG.M.01711. 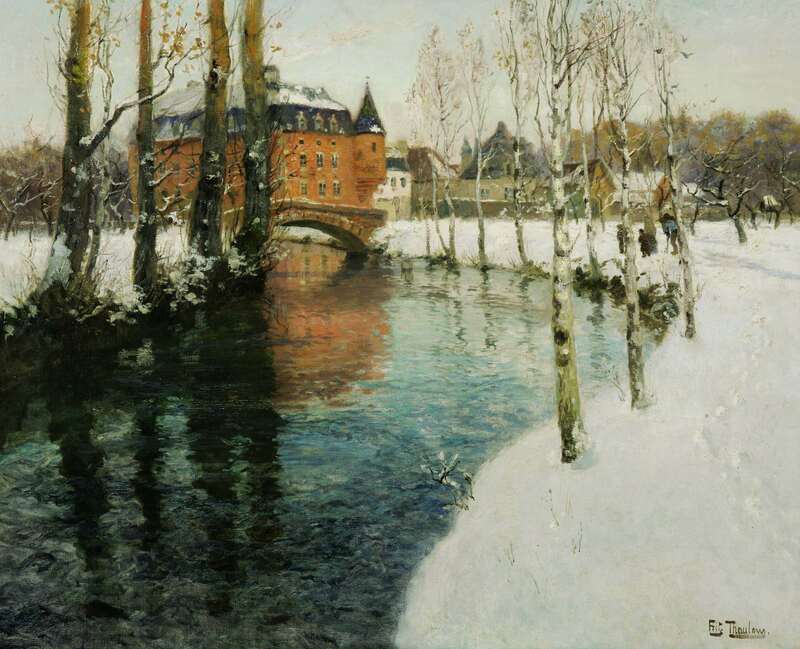 Source: http://upload.wikimedia.org/wikipedia/commons/c/c6/Frits_Thaulow_-_Winter_at_the_River_Simoa_-_Google_Art_Project.jpg. I have changed the contrast of the original photo. Materials: oil on mahogany. Dimensions: 83 x 62 cm. 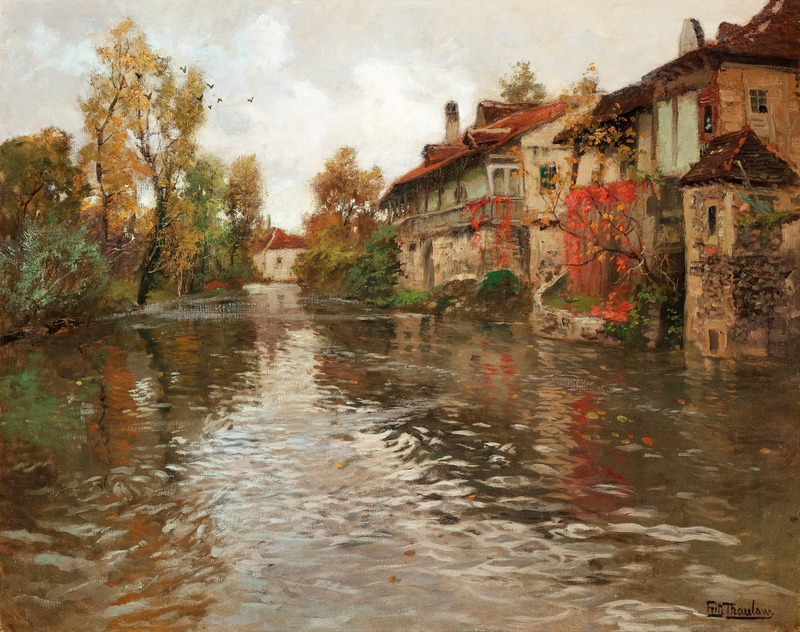 Inscriptions: Frits Thaulow. Mai 1881. Sold by Grev Wedels Plass Auksjoner in Oslo, on November 27, 2007. Source: http://www.gwpa.no/nor/items/21807. I have changed the contrast of the original photo. Materials: oil on canvas. Dimensions: 81.3 x 121 cm. Nr. : Cat. 1091. Source: http://www.philamuseum.org/collections/permanent/101776.html?mulR=1947897275|1. I have changed the contrast of the original photo. Materials: oil on canvas. Dimensions: unknown. Nr.:?. 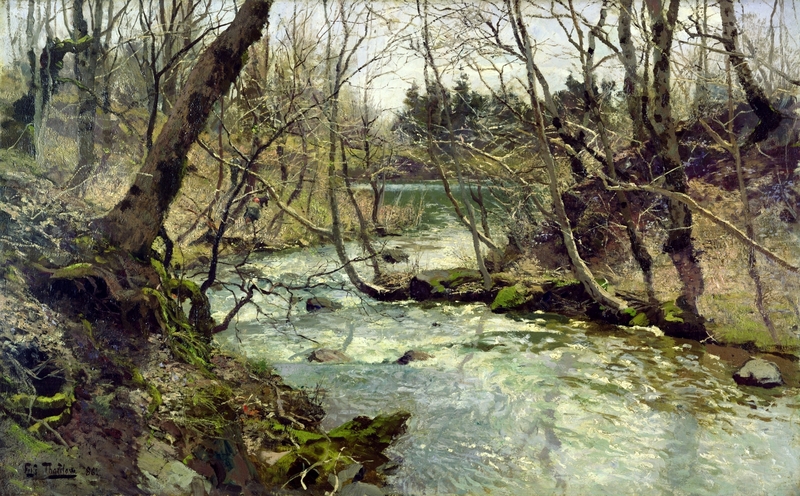 Source: http://commons.wikimedia.org/wiki/File:Frits_Thaulow_-_Elv.jpg. I have changed the light, contrast and colors of the original photo. Materials: oil on canvas. Dimensions: 53.6 x 65 cm. 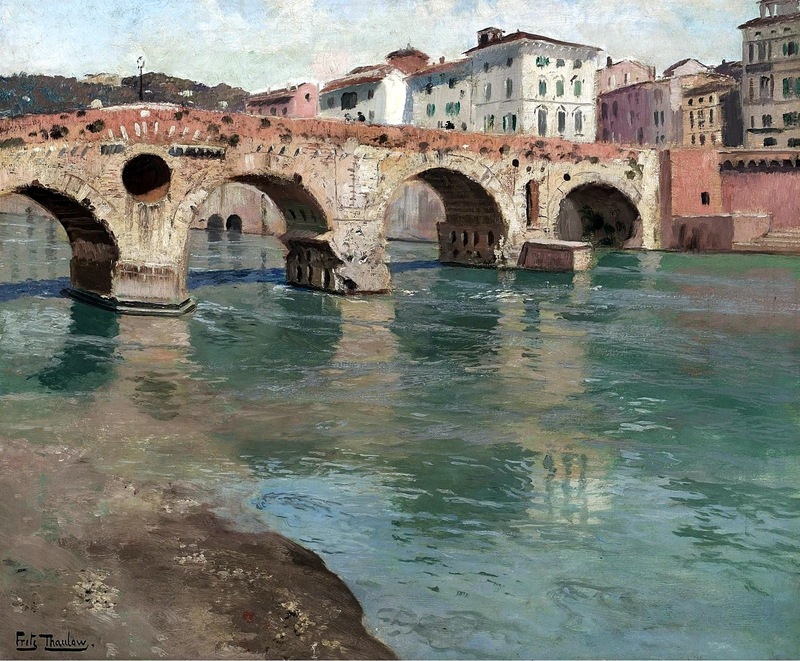 Inscriptions: Frits Thaulow (lower left). Sold by Sotheby’s in London, on June 3, 2009. 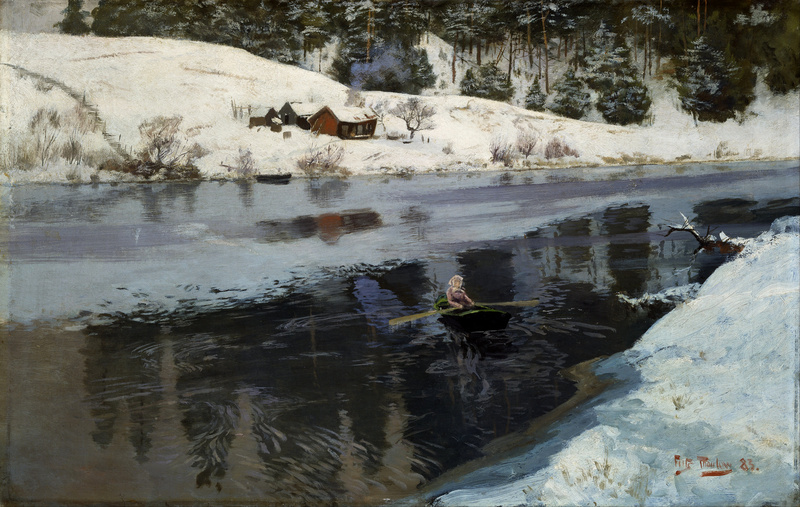 Source: http://polarbearstale.blogspot.ro/2014/03/verona-and-norwegian-frits-thaulow-1847.html. I have changed the light, contrast and colors of the original photo.